Alright, as you all are much aware of now, I am in fact a damn genius and I was perfectly able to gain insight into the mind of our great man Nomura and saw how the guardian and Tera were one of the same. NOW, with that in mind, I show you THIS. Now, don't freak out. This is NOT a joke. I REPEAT. THIS. IS. SERIOUS. We all know how Sora died and went to Jannah (Nomura is afraid of confirming that Kingdom Hearts takes place in the Islamic religion, which is not so much theory but fact at this point considering he talks to several Jinn and fights against people clearly not in support of the muslim god.) When he came back, they were back in time. TIME. Time is the key here. There is at this very moment a time where Xehanort won. Xehanort plans for EVERYTHING. 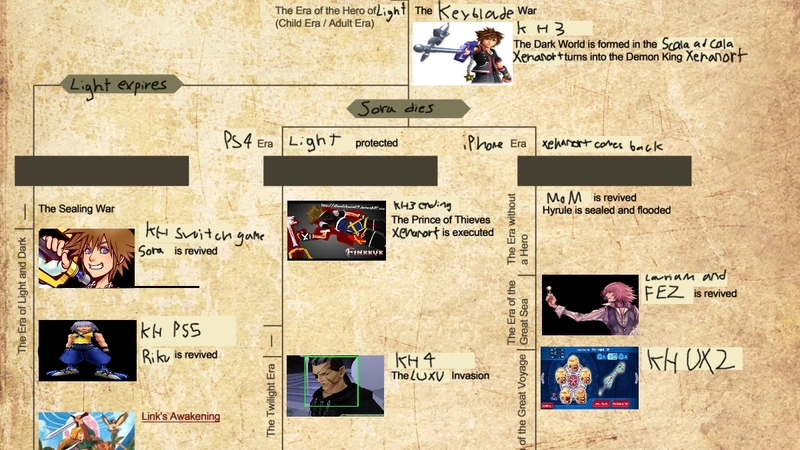 Xehanort comes through time. Xehanort had seven versions of himself, are you really going to sit there and try to argue with me that he didn't have the foresight (he definitely has the forehead) to see that he would win in another time? I really laugh at you very much if you try to do that. Hahahahaha. HA. - Dr. Robotnik Eggman. Link's Awakening will be the best KH game. Oh. Well. Okay. I mean you probably aren't wrong about a split timeline but...HM. Okay.